There is more than nice landscaping, clean roadways and attractive home exteriors to consider when choosing the neighborhood you want to live in. Though Silverado Homes has taken pride in offering these things, it is peace of mind that has been most recognized by the homeowners at Silverado Village. Specifically built with seniors in mind, this community offers added safety and security features not found in other areas. Silverado Village at Placerville consists of 113 homes with four different floor plans that range from 1,207 to 1,590 square feet. The homes are all one-story, eliminating the added hazards of steps and staircases. The safety features begin even with the exterior landscaping, with recessed lighting on all travel paths and smooth, maintenances trails. Residents will notice the ease of the lever style doors and the specifically chosen no-step walk-in showers. Each home even includes emergency pull cords and remote pendants, so both residents and their families can have an added peace of mind. The newly constructed homes are not only safer, but they are environmentally friendly, as well. All homes in Silverado Village are built with a high level of efficiency, exceeding California energy efficiency requirements by more than 18%. Their features include R-8 duct insulation and tankless hot water heaters. Residents have access to the Eskaton Lodge, where meals can be taken out or delivered directly to the home. Additionally, the on-site Eskaton Village Center has many features including a spa, a fully-equipped fitness center, and an indoor heated pool with opportunities for water aerobics. There is also a community room for activities such as cards, puzzles, or even just relaxing and enjoying some company. Placerville is close to Lake Tahoe, the ocean, and scenic state parks. It is located near a variety of wineries, restaurants, and shops, and has doctors’ offices and medical care close by. 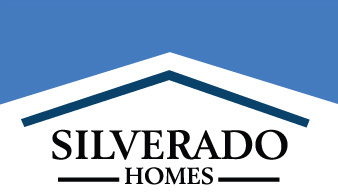 Silverado Village is the perfect blend of independent living combined with on-site services. If or when the need arises, there are also assisted living apartments and memory care options for homeowners nearby, providing a unique multi-level service approach. Homes at Silverado Village at Placerville start in the high $200,000’s. The sales office and model homes are located at 3741 Eskaton Drive and are open daily from 10:00am to 5:00pm and on Wednesdays from noon until 5:00pm. Feel free to stop in and visit about this new community or tour one of the professionally decorated model homes.